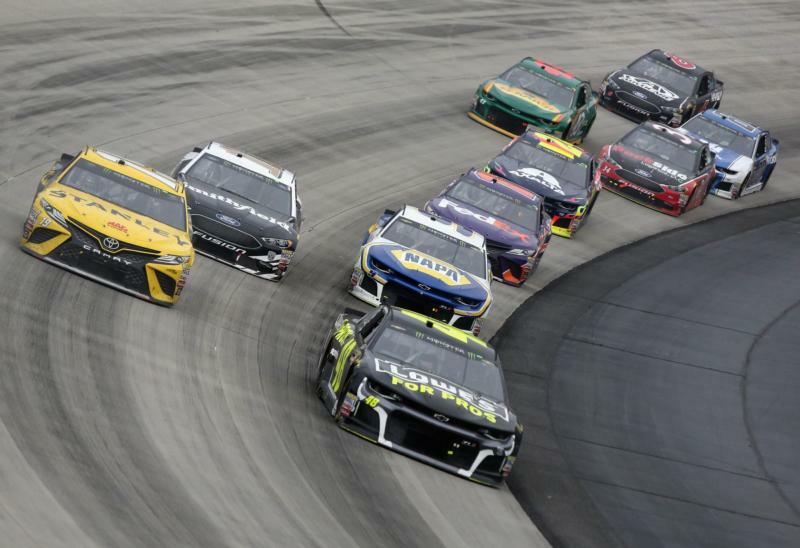 CONCORD, N.C. -- Three Monster Energy NASCAR Cup Series teams were handed L1-level penalties following the AAA 400 Drive for Autism at Dover International Speedway. Second-place finisher Clint Bowyer's No. 14 Ford was found to be in violation of NASCAR rule book section 20.4.8.1 for a rear window brace that did not meet specifications requiring the brace to hold the rear window rigid at all times. Bowyer's crew chief, Mike Bugarewicz, was fined $50,000 and car chief Jerry Cook is suspended for the next two points races at Kansas Speedway and Charlotte Motor Speedway. Bowyer lost 20 championship driver points and Stewart-Haas Racing was penalized 20 championship owner points. The infraction was the same penalty that Kevin Harvick's team incurred following the Pennzoil 400 at Las Vegas Motor Speedway earlier this season. Unlike Harvick, Bowyer did not lose any playoff points from his performance at Dover. Stewart-Haas Racing has not determined if they will appeal the penalty, which dropped Bowyer from fourth to fifth in the standings heading to Kansas. The No. 19 team of Joe Gibbs Racing also had a rear window infraction, being found in violation of section 20.4.8.1.c, which requires the rear window to be flush with the rear deck lid. Driver Daniel Suarez, who tied his career-best finish of third, was penalized 20 championship points, crew chief Scott Graves was fined $20,000, and car chief Todd Brewer is suspended for the next two points-paying events at Kansas and Charlotte Motor Speedway. Joe Gibbs Racing announced they will not appeal the penalty. Suarez dropped from 17th to 20th in the Cup Series standings, 27 points behind Chase Elliott for the final spot in the playoff grid. NASCAR also issued an L1 penalty to the No. 3 team of Richard Childress Racing due to an unapproved splitter. The splitter on Austin Dillon's machine was found to be in violation of Section 20.4.3.a & d. Crew chief Justin Alexander was fined $25,000 and car chief Greg Ebert is suspended for this weekend's race at Kansas. Dillon's infraction did not result in a points penalty.